I came home at the end of 'Australian Story' and realised, as I flicked to channel to ABC1, I missed the story I really wanted to see tonight: a profile on extraordinarily successful TV producer Adam Boland, and his struggle with depression (and bipolar disorder). Thing is, I have been stuck in my own depresso-hole today, caring for my elderly mother who was in hospital. People who know depression, really are acquainted with this cruel beast, know that it pops its ugly, unwelcome head from time to time, and sometimes it stays and sometimes it goes. Right from the start, I have always liked Adam Boland's absolute willingness and determination to speak up about mental illness, in this instance, his bipolar disorder. Having launched Sunrise, The Morning Show (on Channel 7) and then Wake Up! and Studio10 on Channel 7, this is a determined, ridiculously talented man, who has stopped at nothing to be at the top of his game. In Australian Story this evening - watch it here NOW - Adam reveals the full extent of his mental health, at a time when his career was soaring. And, we see what led to his decision to leave TV altogether. 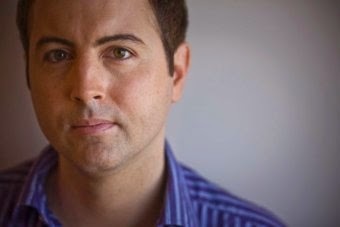 "I am desperate to find out who I am without television," Adam Boland told 'Australian Story'. "I think I've always seen myself by what's printed on my business card. "Without that identity I'm not entirely sure who I am, and that's a scary thought." "He's one of the most talented people I've ever worked with but he doesn't have an off switch. If he could find an off switch that would be his salvation," he said. "There is a stigma and I think the media has a duty to help smash that. Mental illness is as valid as any other illness," says Adam. Adam's mother b says about her son: "When he says I'm finished with TV, I think is TV finished with you?" An unmissable ep of 'Australian Story, essential viewing for destigmatising and learning more about mental health. To read the whole transcript, click here.